NEW DELHI (Reuters) - The Indian government on Monday said it was discussing Apple Inc's foreign direct investment application that seeks a waiver from a local sourcing rule. The finance ministry's foreign investment promotion board (FIPB), which clears foreign direct investment applications, has asked the iPhone maker to sell at least 30 percent locally sourced goods if it wished to open shops in India. Apple hopes to expand its retail presence in India, one of the world's fastest-growing smartphone markets, at a time when sales in the United States and China have slowed. India last year exempted foreign retailers selling "state of the art" or "cutting edge technology" from the sourcing rule, which states that 30 percent of the value of goods sold in a shop should be made in India. A panel set up by Sitharaman's ministry had favored waiving the sourcing requirement for the U.S.-based phone-maker. But a government official, with direct knowledge of the FIPB decision, said Apple's request was turned down as it failed to provide any material "on record" to back it. "We took a line that we wouldn't mind waiving off the local sourcing norm for Apple's high-end products," said Sitharaman. "(The) finance ministry has taken a different line. We will talk to them." The FIPB decision is a setback for Apple, whose chief executive Tim Cook met Indian Prime Minister Narendra Modi about a week ago. The trip was supposed to set the stage for the U.S.-based company's expansion in India. 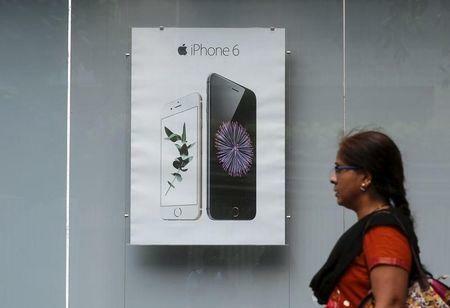 Sitharaman said she was not in favor of relaxing rules for Apple to sell refurbished second-hand phones in India.